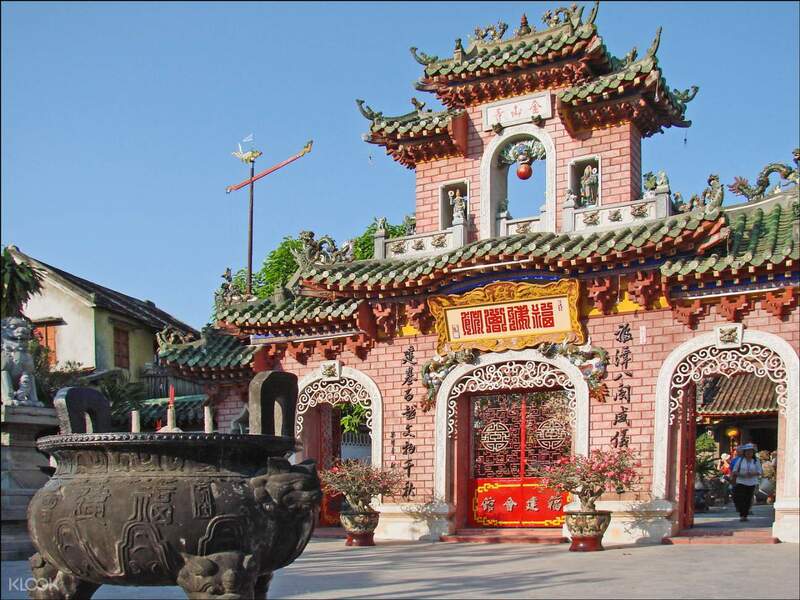 Go back in time as you uncover the history of My Son Sanctuary and Hoi An in this tour! Walk along the ancient city of Hoi An, a UNESCO World Heritage Site that you can't miss! Centuries before Vietnam existed as a country, their land belonged to the Champa Kingdom. At the height of its power, the kingdom built several cities and religious sanctuaries across Southeast Asia. 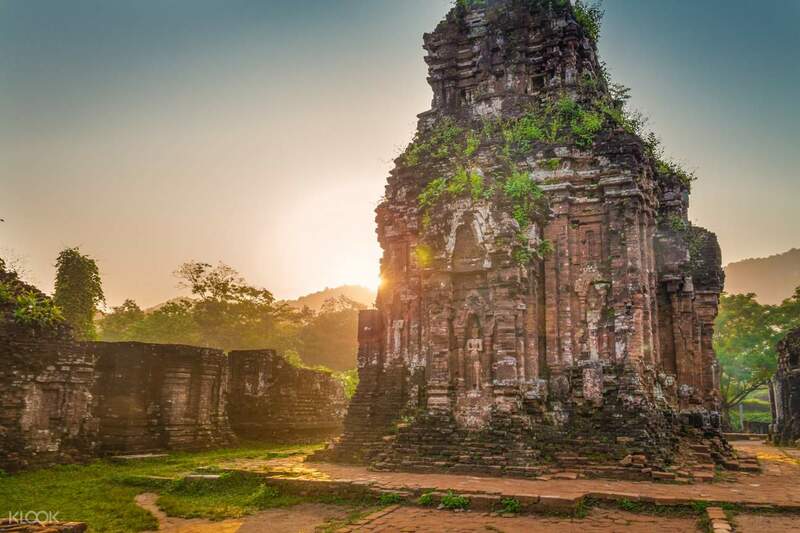 In this tour, you'll see two of the kingdom's most notable infrastructure - My Son Sanctuary and Hoi An - and their own attractions. Check out these UNESCO World Heritage Sites and learn more about their history as a whole from your English-speaking tour guide. Start the tour with a visit to My Son Sanctuary, the Champa Kingdom's religious and political capital at the time. Surrounded by mountain ranges, the complex of temple towers are a popular tourist spot. Next, head to another ancient city off the coast of Thu Bon River - Hoi An. Explore the charming city with your English-speaking guide and see more of its beauty as the tour takes you to Fujian Assembly Hall, the 400-year-old Japanese Covered Bridge, Sa Huynh Museum, and a pottery and crafts workshop in the Old Corners. 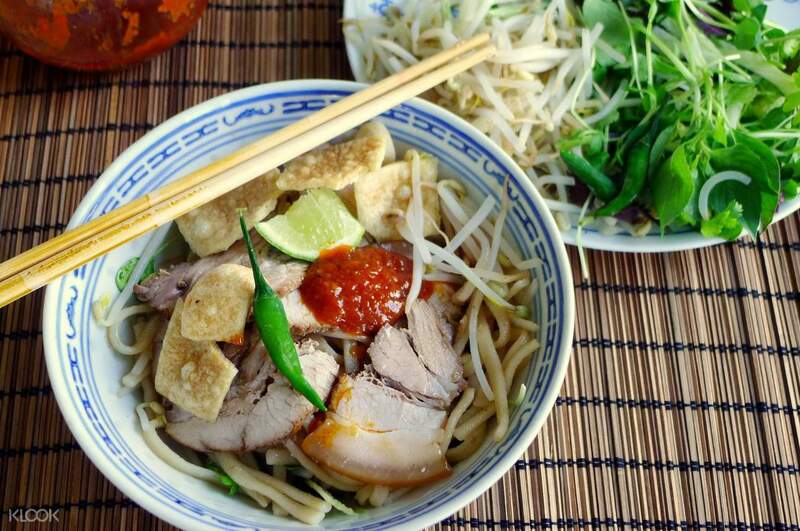 Immerse yourself in the culture and the history of central Vietnam when you book this tour. This was a wondeful tour. Was able to learn about the pagodas that were built as early the 9th century. Learned about the ancient city of Hoi An and its people, culture and way of living. Thanks to klook for this tour. It was teally great to see 2 of Unesco’s World Heritage site. This was a wondeful tour. Was able to learn about the pagodas that were built as early the 9th century. Learned about the ancient city of Hoi An and its people, culture and way of living. Thanks to klook for this tour. It was teally great to see 2 of Unesco’s World Heritage site. Good tour, pick up was on time. Our tour guide was Nghiem and he was passionate and seemed to really like history. My Son was like a mini Angkor Wat, very beautiful. Wished we had more time free time in Hoi An to enjoy and also wished we could have stay after the sunset to see the lanterns lights up. Lunch was a bit generic, touristy, but don’t worry, tons of places you can find good eats at. Egg foam coffee is a must try! Good tour, pick up was on time. Our tour guide was Nghiem and he was passionate and seemed to really like history. My Son was like a mini Angkor Wat, very beautiful. Wished we had more time free time in Hoi An to enjoy and also wished we could have stay after the sunset to see the lanterns lights up. Lunch was a bit generic, touristy, but don’t worry, tons of places you can find good eats at. Egg foam coffee is a must try! Punctual pickup at our hotel at Orange Hotel. 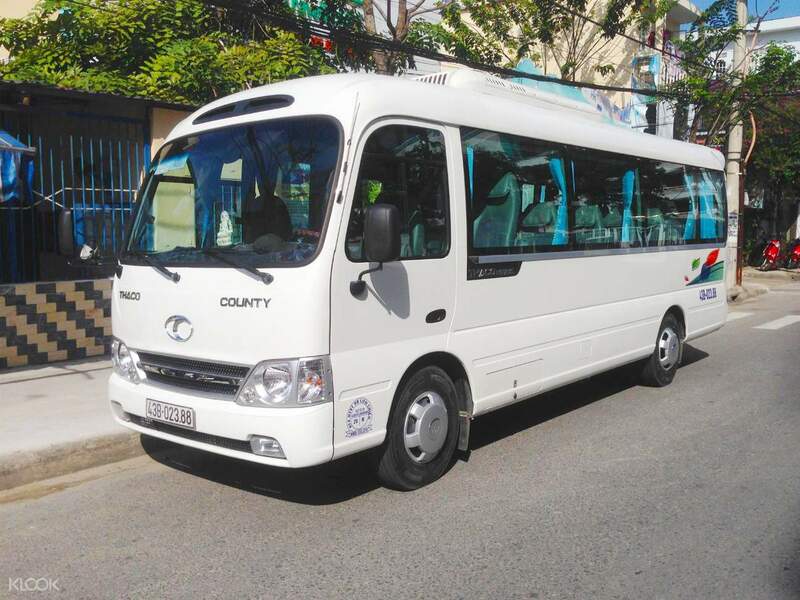 With the Air-conditioned van transportation we enjoyed the comfortable trip from the beginning to the end. Visited My Son which mean beautiful mountain and Hoi An, a UNESCO World Heritage Site and having good Vietnamese foods during the trip. Our guide was very polite and patient in explaining to us about the places we visited. She helped us to take photos as well. It was sunny day the whole day during our trip, overall was a very good experience. Punctual pickup at our hotel at Orange Hotel. With the Air-conditioned van transportation we enjoyed the comfortable trip from the beginning to the end. Visited My Son which mean beautiful mountain and Hoi An, a UNESCO World Heritage Site and having good Vietnamese foods during the trip. Our guide was very polite and patient in explaining to us about the places we visited. She helped us to take photos as well. It was sunny day the whole day during our trip, overall was a very good experience. My son sanctuary is like a mini Angkor wat in Cambodia. Watch a short traditional dance over there as well. 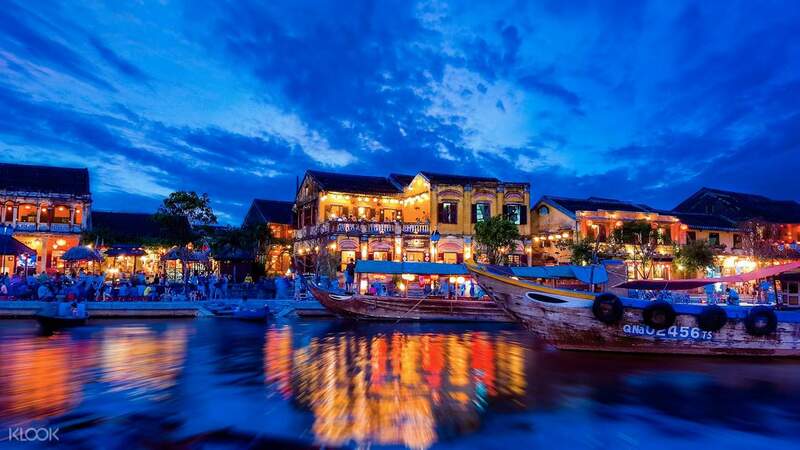 Hoi An is quite crowded and more of a commercialized site. Lots of shop selling overpriced items. Some places require a ticket to enter, and these places are very small and nothing much to see. Probably can have a longer time to walk around as the area is quite big and we do not have time to watch a performance at the mask painting shop. Probably can skip this tour if short of time. Our guide is friendly and humorous. He speaks good English as well. Our lunch is provided but quite disappointing meal. My son sanctuary is like a mini Angkor wat in Cambodia. Watch a short traditional dance over there as well. Hoi An is quite crowded and more of a commercialized site. Lots of shop selling overpriced items. Some places require a ticket to enter, and these places are very small and nothing much to see. Probably can have a longer time to walk around as the area is quite big and we do not have time to watch a performance at the mask painting shop. Probably can skip this tour if short of time. Our guide is friendly and humorous. He speaks good English as well. Our lunch is provided but quite disappointing meal. My Son sanctuary is listed by UNESCO as a world cultural heritage site. If you love ancient Temples, this is the place to be. Good for morning walk. For Hoi An, you need to Reserve half day to explore the old town’s most noteable buildings. In addition, there is a wet market and plenty of stalls for those who are shopping fanatics. My Son sanctuary is listed by UNESCO as a world cultural heritage site. If you love ancient Temples, this is the place to be. Good for morning walk. For Hoi An, you need to Reserve half day to explore the old town’s most noteable buildings. In addition, there is a wet market and plenty of stalls for those who are shopping fanatics. Overall a good experience. Our guide was really good and had good knowledge. Timing was good. However klook can be more flexible when it comes to arranging return transport. Overall a good experience. Our guide was really good and had good knowledge. Timing was good. However klook can be more flexible when it comes to arranging return transport. Tourguide really nice and English is very good! Tourguide really nice and English is very good!